The American Health Council selected Evan Reinert, PT, DPT, BS to its Physical Therapy Board. A physical therapist at Advanced Physical Therapy in Maize, Kan., Dr. Reinert consults with patients diagnosed with a variety of ailments, including everything from orthopedic to chronic illnesses. Additionally, he collaborates with local physicians to help patients ease pain medication dependency. Since entering the healthcare industry over six years ago, Dr. Reinert has garnered skills and knowledge in manual therapy. Dr. Reinert originally sought a career in engineering but quickly realized he was more suited for the field of physical therapy. His passion for helping others, coupled with the strong work ethic that his parents instilled in him, led Dr. Reinert to pursue a career in physical therapy. After earning a bachelor’s degree at Wichita State University in 2009, he remained at the educational institution to earn a Doctor of Physical Therapy degree in 2012. Currently, he is currently working towards a manual therapy fellowship through the North American Institute of Orthopedic Manual Therapy. In addition to his physical therapy role at Advanced Physical Therapy, Dr. Reinert is contracted by a local prison in Kansas where he treats inmates one day per week. He is currently Astym Therapy and Kinesio Taping certified. He believes in treating his patients as a whole and is diligent to ensure that all patients receive a comprehensive consultation to improve their overall health and well-being. Dr. Reinert provides educational tools along with each assessment to allow his patients to work towards independence and self-management of their health conditions. To continue to excel in his field, Dr. Reinert is an active member of several professional associations, including the American Physical Therapy Association and the Kansas Physical Therapy Association. He has worked with the Juvenile Rheumatoid Arthritis Foundation, Bowl for Kids’ Sake, Muscular Dystrophy Association Lock-Up, and Zero — The End of Prostate Cancer to help advance research. As a regular part of his professional practice, he works with students who are thinking about physical therapy as a future profession. 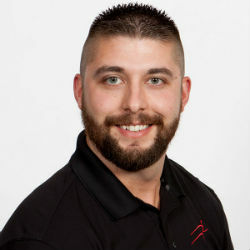 He also works with local college and university programs as a clinical instructor for both physical therapy assistant and physical therapy students. Additionally, he serves as the director of Special Projects and Events at his local church, the Seed Church. In his free time, Dr. Reinert enjoys spending time with his wife. The couple are currently starting the adoption process to expand their family. With a successful career at hand, he attributes his achievements to his humility, his ability to efficiently communicate with his patients, and his passion for his profession. He is committed to giving his patients the best care plan possible and works incredibly hard to help them achieve their personal goals. In the future, Dr. Reinert plans to congregate with therapists and students to share his knowledge and learn from others. 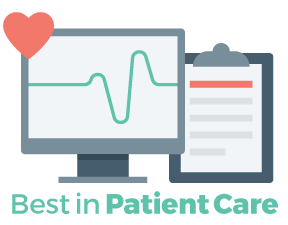 He would like to focus his care solely on patients and increase patient access to treatment. At Advanced Physical Therapy, our conservative approach allows for successful rehabilitation of musculoskeletal conditions. Treatment programs are designed to meet the specific rehabilitation needs of the individual. This will enable the patient to return to maximum performance in work, athletics, and everyday activities. From complicated surgery to everyday aches and pains, Advanced Physical Therapy will work hard to ease your pain and improve your health. We provide expert outpatient rehabilitative care with our group of experienced physical therapists.